The Eastern Continent features the planet's industrial capital of Midgar, the military base Junon, a reactor named Fort Condor, and a small town of Kalm. Xeno breathed in deep, and then sighed. "Ahh, the sweet smell of industrial pollution. Seems like its been years." Xeno marched out, BloodShot soon after. Samus stayed in the ship with M-1. "Okay, Xeht, Zaras, you two keep defense around the ship," said Kane. "Will do," said the predalien. "Xeno, you, Yurisue, and I will go and head down to the slums. Watch out for Turks. They keep constant surviellance on Aerith." They took an elevator down below the Midgar Plate, arriving at the slums. "Monsters can sometimes be found down here. Keep an eye out." As if they heard, a few Shadowcreepers materialized out of the ground. "I had to jinx it, didn't I?" Kane said. He drew his sword. "Be careful, to kill these things, you have to catch them off guard. Otherwise, they'll just dematerialize and reappear somewhere close by and attack again." Kane slashed at one, but just as his sword passed through it, it dissapeared into a puff of smoke and reappeared a few feet away to his left. "See what I mean?" "I see what you mean. I have a few tricks uo my sleeve." Xeno said as the rings on his wrists, neck, wings, and ankles started to glow they're respective DarkSpine colors. They slashed for a bit, the Shadowcreepers just reapparating. "Kane! Kick 'em while they're down!" Kane and Yurisue slashed at as many of them as they could before Xeno's Timebreak wore off. But there were so many now. Xeno held the Time Break for as long as he could, but he released it eventually, and their were still a few Shadow Creepers left. He was worn out. He needed time to gather more energy, so Kane and Yurisue had to defend him. They slashed left and right at the hounds, but then, they all jumped at the trio in unison. But then, a flash-back occurred in Kane's mind. A Turk he knew had been with him. They were getting back on board a helicopter, and their were tons of enemies chasing them. It was in the middle of a town. Once they were on the chopper, it took off. "Are you sure you don't have a problem bombarding this place?" Kane asked. "Because I have a big problem with it!" "Company policy demands that all evidence of misconduct must be erased. I'm just following orders." the Turk said. The Helicopter took off, and Kane watched the town burn as the rockets detonated. No doubt there were many innocent people in there. The flashback ended, and Kane felt himself staring at the Shadow Creepers still leaping at them, not even a split-second from the time the flashback had occured. Kane felt a rush of energy surging through him. He heard a voice in his head. "Proove your honor to me!" "You got it!" Kane said out loud. He sheathed his sword, and attacked the enemies with his fists and feet, going so quickly they didn't have time to react. He unleashed a single super-rush through some of the Creepers, which caused an explosion where they were. It drastically weakened them, but didn't kill them. At least now they didn't have enough energy to apparate. Killing them now would be simple. Xeno's rings flashed again, and in one fell swoop, he dashed through the Creepers, slashing them all with his KeyBlade, then landing on the ground, breathing heavily, the shattered remains of the ShadowCreepers floating in the air. "Boy. I haven't felt this bad since the Chum Famine of '59." He turn to the other 2. "You don't wanna be in shark infested waters without any Chum. Trust me." Yurisue turned to Kane. "Was that a Limit Break you did?" Kane thought for a minute. He had never used a Limit Break before, but the descriptions matched the sort of thing he had just experienced. "I guess so." Xeno was already in the distance and still going. "Come on, slowpokes!" he shouted. "Looks to me like your'e in need of speed!" "Hey Xeno!" Kane called out. "It looks to me like your'e going the wrong way!" They continued in the right direction, and Xeno caught up. Soon, they found themselves at the Church of Aerith Gainsborough. They entered. "There's nobody here!" Xeno said. "It's deserted!" "No, not really," Kane said. He walked down the rows of seats to the empty space between the seating area and the stage. A portion of the wooden flooring was torn away, and in it's place their were sparkling flowers, as their had always been. He knelt over them,studying them. They hadn't decayed or showed any signs of age or death. It was very well kept. And he knew why. "These flowers were cared for by Aerith back when she was alive," Kane said. "Back..." Xeno stammered. "When.... she... was.... alive? You mean.... she's a ghost?" "Not the sort of ghost you would imagine. You can see her if you just know what to look for. I can see her now. If you just look here, where the light meets the flowers. You can see her on the opposite side of them from me, on the border." As Xeno continued to try and see, a voice echoed through the room. "Hello, Kane. You've brought friends with you, I see." "Yes, Aerith, I have. But some of them stayed behind. We need your help." Then, Yurisue saw her, and pointed her out to Xeno, who could see her as well. She was a beautiful young adult with a red ribbon in her hair. "Hang on, if your'e a ghost, then why did Kane call you the Last of the Cetra?" asked Xeno. "I still retained that affectionate title even after my death, because that's what I was." "Say, if your a ghost, can I slash at you and you not feel it?" Xeno's tail curled around his shoulder. "No. But the emotional impact would sure sting," she responded. "So about this help you need?" "A girl named M-1 has used the Force to absorb a T-X," Kane explained. "She's slipping away to it's control as we speak. We need you to help." 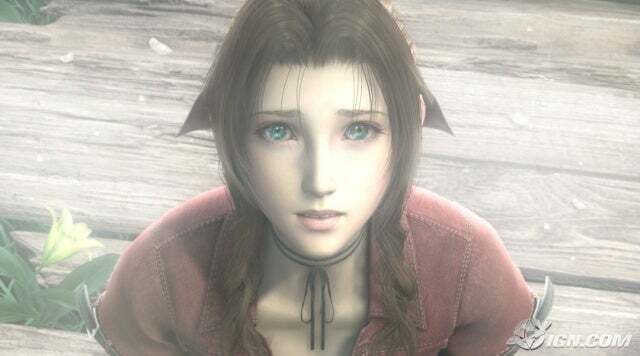 "Nothing I can do myself," Aerith said, thinking for a minute. "But I can create a mind-transfer." "That's great!" Kane said. "Xeno and I can help fight off the T-X from inside her mind!" "Indeed! Hey, can you walk through walls then?" "I can, but I prefer to feel normal." They arrived at the ship and boarded. Kane paused and said "I think it best we leave M-1 in hypersleep for the process, until we get the spell going. That way, she won't snap awake while we're preparing. Yurisue can switch off the hypersleep once we are in M-1's mind, because she won't be able to wake up then, either." The Kaiju Master got out of his ship, only to see the polution in the air. "I am glad my armor protects me from this...Celestial puroplosion!" With that he drew Ragaliber, slashed, and a an explosion wiped away a fair chunk of the polution. The toa, Eekoo, had stayed on Yavin 4. "I need to be carefl here..." He then walked on to find the church of Aerith Gainsborough. "I miss seeing the L.D.S. churches back on Earth...They are my home." He then entered in only to see Kane with Yurisue, Xeno, and one more person. She reminds me of Dawn...I wonder how she's doing. He then walked up to them. Sheathing Ragaliber, he looked at Yurisue and the other person. "Who are you," he asks Yurisue. In his heart, the Kaiju Master felt lonly again, as he had so long ago. I can not give up...I am still needed. With that his eyes glowed white, and glowing blue lines appeared under neath them. His face was now more draconic/metalic. At the ship, Kane knelt over M-1's body. "Okay, Aerith, begin the process." She abided, and Kane's mind was transported to M-1's. Xeno joined him soon after. "Woah!" Xeno said as they floated around. "Is it always zero-grav inside a person's mind?" "Yes. Watch yourself. The T-X's mental army should be around here somewhere. M-1's Body of Thoughts should be here too." "A Body of Thoughts is usually either one of two things: the projection of one's outer appearance, which can appear in or outside one's mind. Right now, we are this kind of Bodies of Thought. Our physical bodies are lying next to M-1's body." "Ok, so what's the other kind?" "Remnants of any sort of entity that have the ability under a special circumstance to become, in every meaning, what they were once a part of. In doing this, the entity is literally ressurected. Kadaj, for example, was Sephiroth's Body of Thoughts. That's how Sephiroth was ressurected. Sephiroth eventually became powerful enough to survive on his own, and split himself from Kadaj after a stale-mate fight Cloud." "Thanks for the history lesson. Now let's get moving," Xeno said. Xeno flew through the Dream Space. "Flying is so much easier in Anti Gravity!!" With a single beat of his wings, he could travel a vast distance. "C'mon, slowpokes! We're almost there!" "Too bad your'e going the wrong way!" Kane called after him. He looked into a shadowy, dark-clouded area of the mind-world, which seemed to consume nearly half the area. "This must be M-1's Dark Side. It's a little smaller than the light, but a normal person's Darkness is usually much smaller. She's more prone to Dark Whispers than most people." "So, do I fill it with Light or what? Like I said to that other person, its all the same energy. I'm sure that Heartless can rise from that Dark Side, since the KeyBlade is near." "No, don't touch it. You said her existance depends on a near-perfect balance of light and dark, right?" "Well, then, what did you bring it up for?" "T-Xs hide better in shadow. Courtesy of the smoke that chokes Earth's sky in the distant future. This is where we start looking." He floated into the dark zone, sword drawn and ready to fight. "Ok, but if Heartless pop out, I'm lighting this place up like a candle." "Oh, shut up, entertain yourself or something." "Whatever." Xeno reached into his chest pouch and pulled out his Mp3 player, and put the earphone in one ear. He apparated his KeyBlade and readied in case battle was needed. They continued into the dark area of M-1's mind. Kane stopped himself in the air as naturally as a pro astrobat. "She's close. M-1's Body of Thoughts is near. Don't be fooled, like I said earlier, she's just like her physical self, but like us, she doesn't have a solid form." "Stop talking about me like I'm not already here." said a voice behind them. It was M-1. "AAAAAAAAAAAH!" The Kaiju Master had stealthily followed them, until now. "I guess we found her..." Every now and then the darkness of the place seemed to cause steam to come from his armor. The Kaiju Master watches intentivly. He carefully also puts up a dome of celestial energy to protect himself from the darkness. He also takes notes. Kane was watching the projection facinatingly. Kane looked over at Xeno, in a floating movie theater chair. Xeno looked at kane.